The Student Cultural Exchange flagship program is based in Boston, Massachusetts – a city with a rich history, world renown universities and home to many cultural treasures. 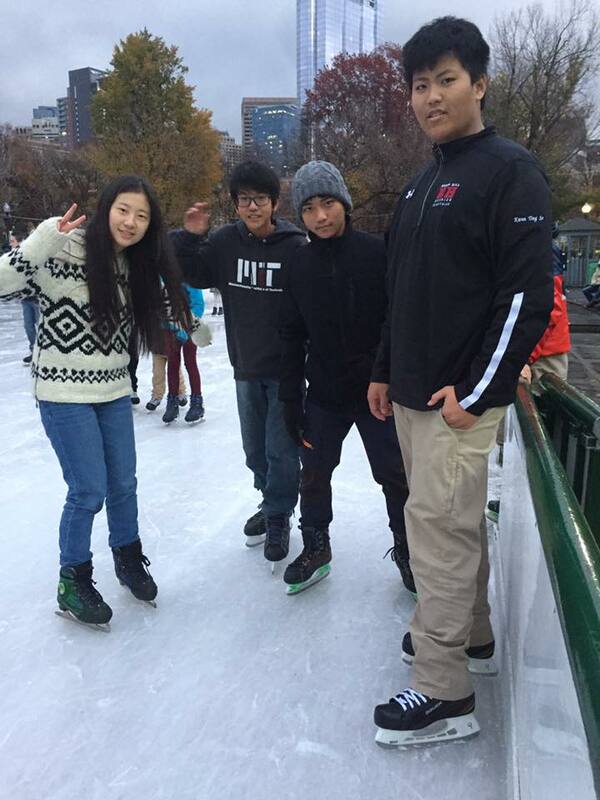 The Boston Exploration program gives our student travelers the opportunity to experience different aspects of the city, such as volunteer opportunities at a local food bank, visits to cultural and historical landmarks, and shopping excursions to some of Boston’s famous shopping districts. Interested students will also have the option to visit some of the world’s finest colleges and universities including Harvard and MIT, as well as participate in the Student Cultural Exchange intensive SAT prep curriculum. Our groups stay at the La Quinta Inn & Suites in Somerville. Located a short walk from the Orange Line “T” the La Quinta Inn is a modern, clean and spacious hotel to serve as a home base for our travelers while they immerse themselves in the fabric and culture of Boston. The La Quinta Inn is walking distance to Assembly Row Marketplace, which boosts a variety of shops, restaurants and a movie theatre. Our travelers love being able to stay at this hotel! In addition to their normally scheduled cultural activities and volunteer projects, our students will have the opportunity to visit Boston-based institutions of higher learning, including some of the most respected colleges and universities in the world. Students will attend guided group tours of Harvard University and Massachusetts Institute of Technology (MIT). One of the highlights for our students is the opportunity to shop in some of the most trendy and fashionable stores in the country. Students will have the opportunity to shop at Faneuil Hall, Newbury Street, and the Cambridgeside Galleria, all of which are within Boston’s city limits. Student Cultural Exchange’s volunteer projects are designed to simultaneously aid people in need and to expose our student travelers to ongoing humanitarian efforts by stressing collaborative cooperation instead of simply serving the “less fortunate.” The projects vary in nature – our students may work in soup kitchens on Thanksgiving or assist at donation centers and urban revitalization projects in the spring. We believe that these volunteer experiences, in many cases, plant a seed in these future leaders to help nonprofit organizations and to develop the skills to do so more effectively. After the entire Group has arrived at the hotel, they will check into their rooms and then go to Boston’s Chinatown to explore and have a group welcome dinner at the famous New Shanghai restaurant. The group will enjoy breakfast at the hotel and afterwards will head to the Prudential Center for shopping and to board a city tour. Afterwards they will have dinner and take in a movie. Today, the Group will take an official guided tour of Harvard and afterwards lunching at their choice of Harvard Square restaurants. The Group will then enjoy an afternoon exploring the Harvard Museum of Natural History. After dinner, the group will go bowling at Lucky Strike. This morning, the Group will volunteer at Community Servings, a local food bank in Boston. Afterwards the go on a guided tour of MIT will explore the exhibits at the MIT Museum. The Group will spend a few hours at the famous Museum of Fine Arts, followed by lunch at Super 88, a favorite Asian market for locals. After down time at the hotel, the Group will take in a performance in Boston’s theatre district. The Group will have a traditional Thanksgiving brunch at a local restaurant near to the hotel. Afterwards they will go to the Skywalk Observatory to take in a panoramic view of the city. The day will conclude with a movie at the local theatre. Today the Group will experience “Black Friday” shopping at the Cambridgeside Galleria and the famous Newbury Street in Boston. After a day of shopping the Group will enjoy dinner and a Boston Celtics Basketball Game. Following breakfast, the group will go to the New England Aquarium and attend an IMAX movie. Afterwards they will get time to explore Faneuil Hall and the Freedom Trail. Group transported to airport/picked up in school vans and returned to their respective school campuses. Each day of our Boston Exploration Program is full of fun activities that are designed to immerse our travelers in the culture of Boston. Activities range from museum visits and college tours to shopping trips and sightseeing. We recognize that our students are on break from school, so while days are full of activities, we also design our programs to allow students time to relax and hang out with friends. Tuition includes all lodging, breakfast and lunch each day, a welcome dinner and a farewell dinner, all volunteer and guide fees, all transportation within Boston and all activities. Participants stay at the La Quinta Inn & Suites in Sommerville. It is located a short walk from shoppes, restaurants, a movie theatre and the "T". This hotel is a perfect backdrop for our travelers to explore this historic city. Participants on our program enjoy a variety of restaurants and cuisines. A hot breakfast is served buffet style at the hotel each morning. For lunch and dinner participants are free to choose from a large variety of excellent restaurants and cafes in the different part of Boston that we are visiting during the meal time. How do the participants get to and from the program location? The program fee does not include pick-up of students at their respective schools, however our staff will work closely with each student and administrator to ensure that the student is able to get to the program location. If students need to be picked up at their respective schools, SCE can arrange pick-up for the additional cost of 1 dollar per mile from the program location. What do participants do at night? Each night our group spends time together doing a variety of activities that range from IMAX movies, bowling trips, watching a live performance, such as Blue Man Group or simply hanging out at the hotel watching movies, playing games and relaxing as a group.